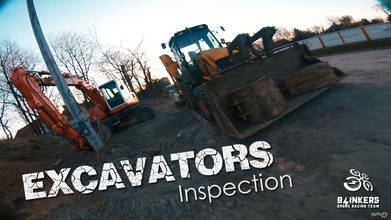 After a day working on the sticks, FattieFly found these perfectly placed excavators to “inspect.” His inspection included some ridiculously fast flipping, rolling, and cutting these powerful machines with his FPV quad. But it wasn't all fun and games, there were definitely a few crashes in the mud. You know what they say, it’s a tough job, but somebody has got to do it.